We've known for a long time that patients can leave a doctor for a new one. But in recent years we are hearing more and more about doctors who are dismissing their patients. Patients ask me frequently, "Can my doctor dismiss me?" The answer is — yes it is legal and fair for a doctor to fire a patient under any circumstances. But there are also circumstances under which a doctor may not dismiss a patient. And there are specific steps a smart patient will take to either try to repair the relationship with the doctor who has attempted to dismiss her or in the process of finding a new doctor. We've reviewed previously many of the complaints doctors have about patients. They include everything from non-adherence to obnoxious behavior to missed appointments. When the complaints about one patient are just too much, doctors may choose to terminate their relationship with that patient for many of those reasons, and for others, too. The American Medical Association has established guidelines regarding when a doctor may fire a patient, based on its Code of Ethics. In addition, many states have laws about the circumstances under which a doctor may terminate a patient relationship. The patient's failure to keep appointments. Patients make appointments, then cancel them at the last minute, or don't show up at all. From the provider's perspective, that means a window of no income in addition to the fact that the patient isn't getting the help he or she needs. A patient's rude or obnoxious behavior. No patient should ever be rude or obnoxious. It's a form of abuse. Just as we patients should fire a doctor who behaves this way, it's fair that a doctor should fire a patient for such poor behavior, too. Non-payment of bills - money owed by the patient, but usually not the patient's insurance. If the doctor's practice is closing. Just like the rest of us, doctors close their practices. They may sell them, or retire from practice, they may die, or just close their doors. A relatively new reason for dismissal seems to be based on the type of insurance a patient has. In recent years, more and more patients report their doctors are firing them for no apparent reason (at least they are not told what the reason is). The one thing these patients have in common is that their payers are those that reimburse providers at very low rates. As reimbursements have gone down, the number of patients reporting dismissals from their doctors has gone up. If you aren't sure why your doctor has dismissed you, you may want to better understand why doctors don't want to accept some insurances. There are reasons and times a doctor may not legally or ethically fire a patient, too — most of which are based on state or federal law. Doctors may not discriminate based on race, color, religion, national origin, sexual orientation, gender identity or any other attribute that is nationally recognized as discrimination. The courts have ruled that a patient cannot be dismissed because he or she is HIV-positive. If you feel as if you have been discriminated against for one of these reasons, contact your state health department. Doctors may not dismiss a patient in the midst of ongoing medical care, called "continuity of care." For example, a pregnant woman cannot be dismissed by her doctor within a few weeks of delivery. A cancer patient cannot be fired before his chemo or radiation treatments are completed. However, a patient who has been on a primary care doctor's roster, but hasn't visited that doctor in a year or two might be dismissed. That is not considered ongoing care. Some states have laws that govern the process a doctor should use to fire his patient. However, in most cases, the dismissal protocol is based more on ethics and responsibility to the patient than what the law may or may not tell them they must do. These guidelines are mostly intended to keep the doctor out of hot water (at least) or to help avoid a lawsuit. The best situation a patient who is being dismissed can hope for is a postal letter which provides him or her with 30 days notice, access to their medical records, and suggestions for new providers. At the least, the patient may receive no notice whatsoever. 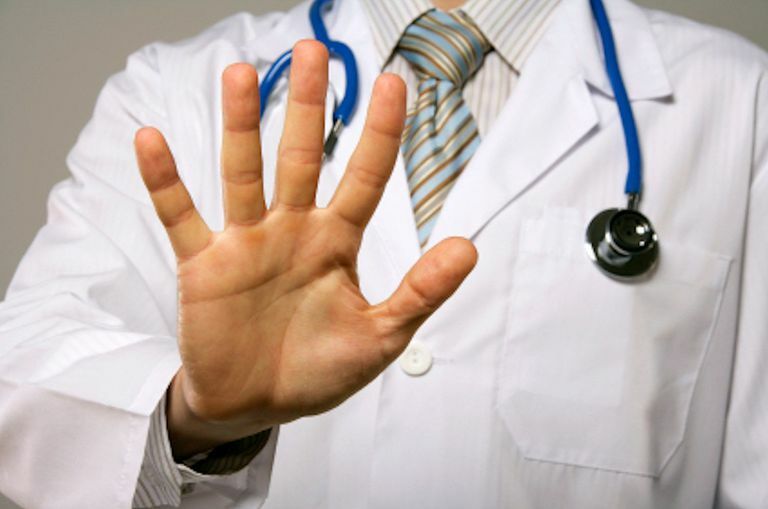 Few states oblige the doctor to declare the reason for dismissal. Some guidelines even tell the doctor not to mention the reason for firing in order to avoid an argument from the patient. If you want to go back to that doctor, you may want to attempt to repair the relationship with your doctor. This will involve knowing what the reason was that you were dismissed (which may, or may not, be apparent). If you prefer to move on to a new doctor, then be sure to get copies of your medical records from the doctor who fired you, then follow the guidelines for changing doctors. Don't get overly argumentative, obnoxious or aggressive. It could result in you being denied medical care. Don't ask the doctor who is dismissing you for a referral. Your better bet is to find someone on your own, someone who is independent of the doctor who has fired you. Don't complain about the old doctor. It does not move you forward and may give your new doctor a reason not to engage with you as a patient. Why Won't My Doctor Call Me Back or Exchange Email with Me? Should Your Post an Online Review of Your Doctor?